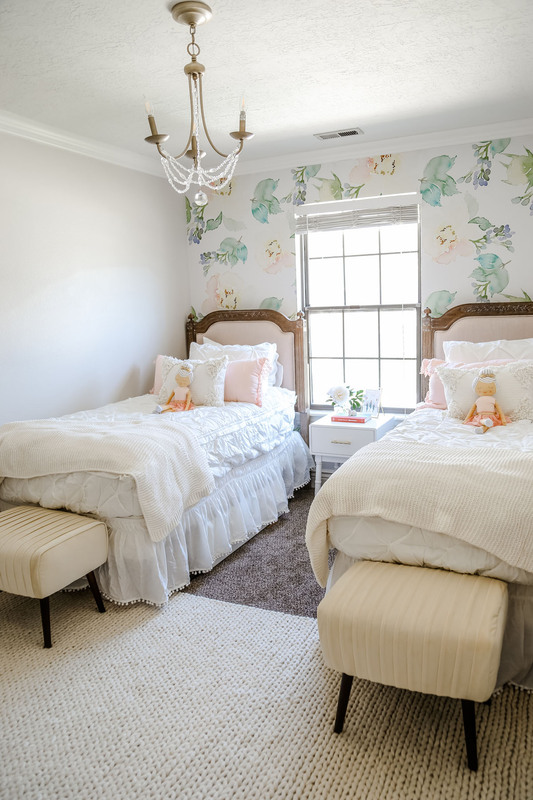 Thank you so much to Beddy’s & B Darling Decor for sponsoring this girls room makeover post. I received product and as always, all opinions are my own. Who is ready to see the girls room makeover?! I don’t know that I have ever been so excited to share something on this little space of mine as I am this room. There are a few reasons why, 2 of them are because of the awesome companies listed above, and the other has a little bit of a backstory of patience and major improvement to our marriage. Half joking, half not. Almost 5 years ago, we moved to Utah. I shared a room with my sister my entire life and wouldn’t have had it any other way. I was thrilled to have 2 girls be able to enjoy the bonding and friendship I enjoyed growing up. 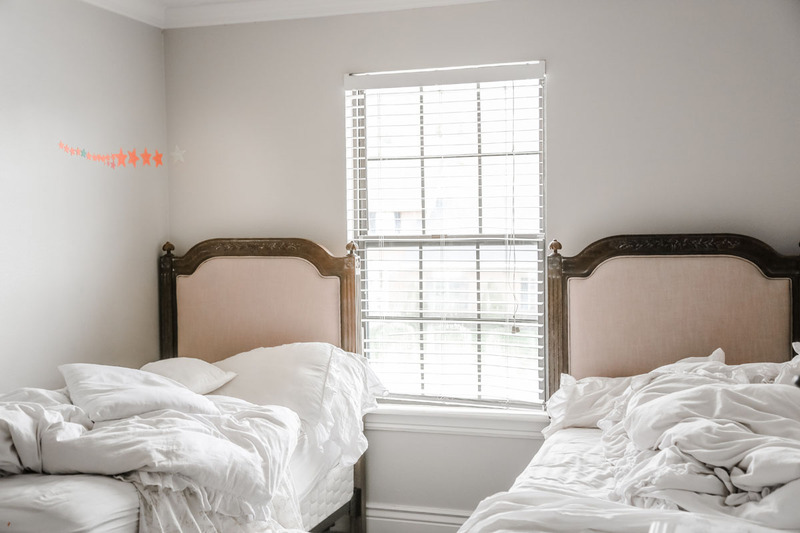 When we moved, we were able to invest in some good quality mattresses and bedding for all of our kids. I remember pulling up a large, well known place for bedding online and showing my husband what I wanted. Needless to say, I grabbed all the bedding. Scroll all the way down to see how it looked every single morning. I met the ladies of Beddy’s at a conference local to me & knew they were on to something genius. It is bedding that you can zip and inside is the softest minky blanket. You’ve got a duvet, bottom sheet, & minky blanket all made into one perfect blanket combo. 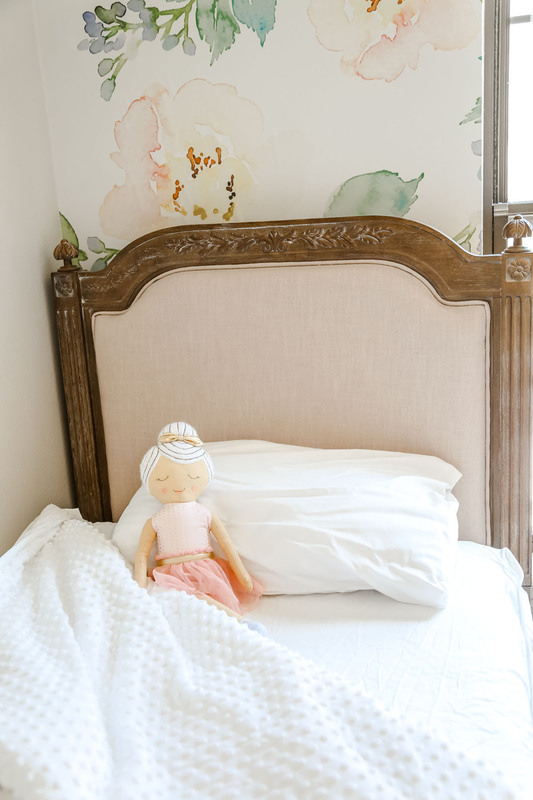 Such a smart concept for these little hands that can’t tuck in close to the wall or layer everything just right. Even if they can, some mornings feel like a marathon and you are just hoping your kids brushed their teeth as they were running out. In the last couple of months, I knew we needed a change. My husband struggled to even go into the girls room because we didn’t know where to start…Complete honest moment. It’s not the largest space. 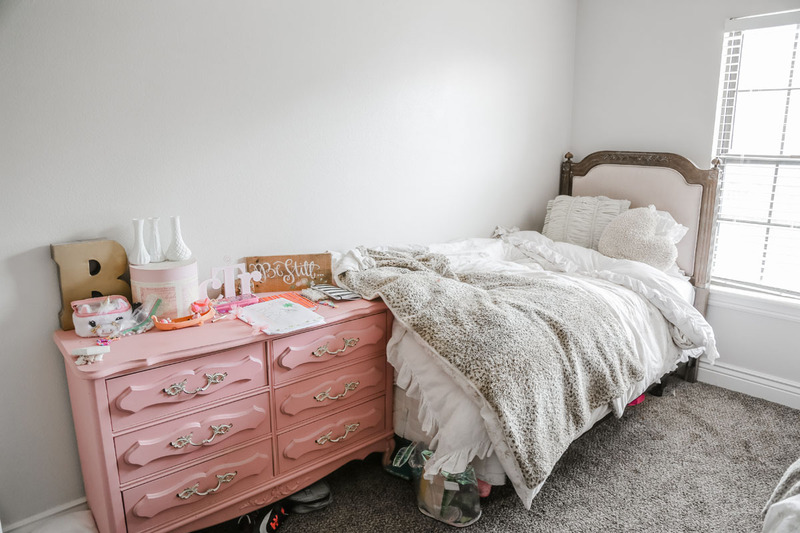 They both had dressers against the wall by their respective beds (more pictures below) & no matter how hard I tried, I could not get it to feel clutter free or stay organized. 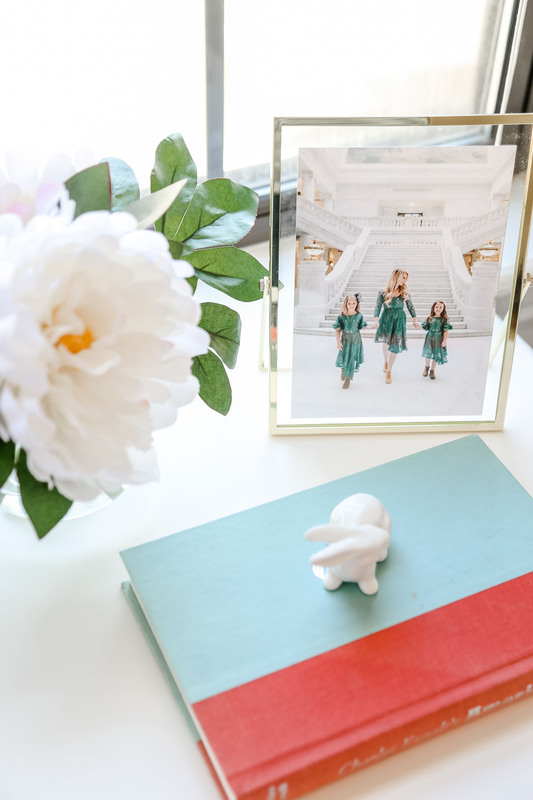 I wanted to make a space that would be way easier to maintain for my girls. 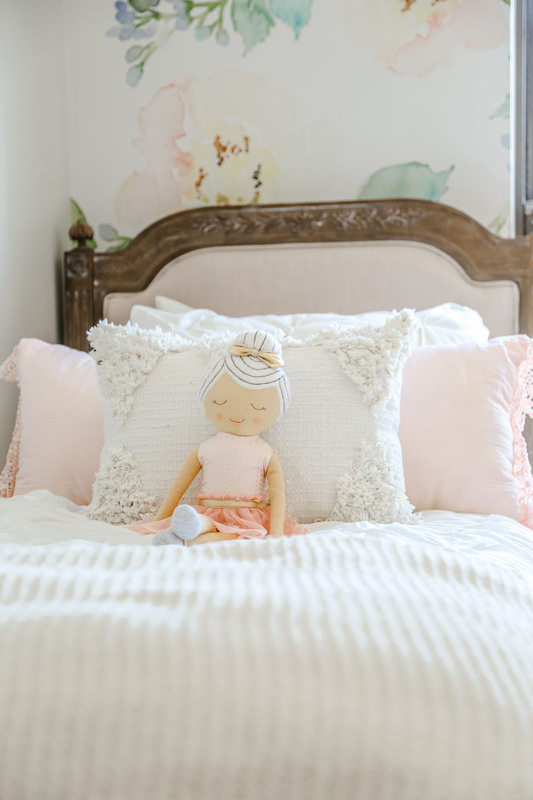 Operation Girls Room Makeover began with Beddy’s & continued with B Darling Decor. 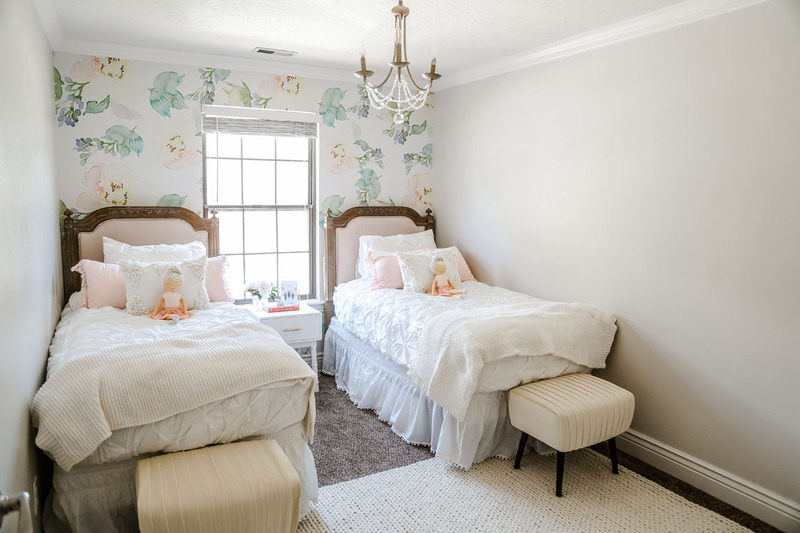 I cannot believe the difference in how the room looks with the beautiful removable wallpaper on the wall behind the beds. I watched the transformation as we were doing it and looking at it everyday, I just am obsessed. It made the room feel larger and gave it a more finished look. I feel like when you love the space you are in, it is easier to keep it clean and less cluttered. 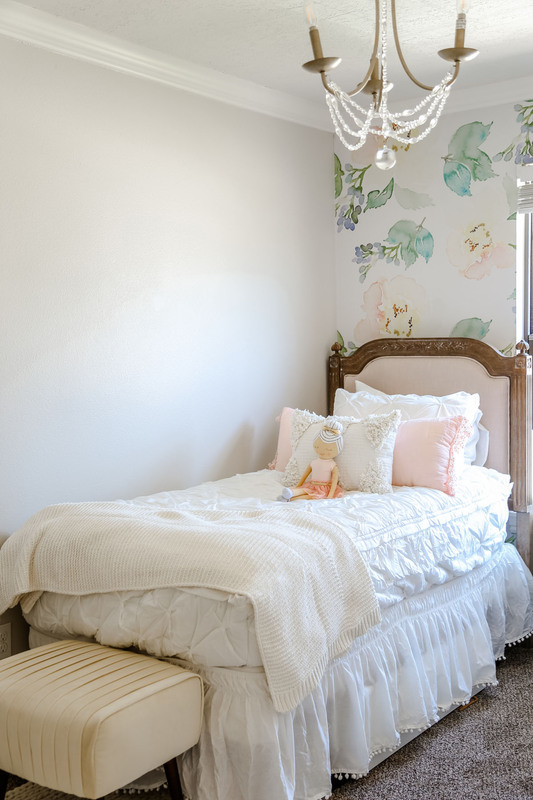 The bedding, the wallpaper, and the decorations are simply beautiful. I will add exact links to all products used down below. This is the inside blanket. It is so soft and heavenly. 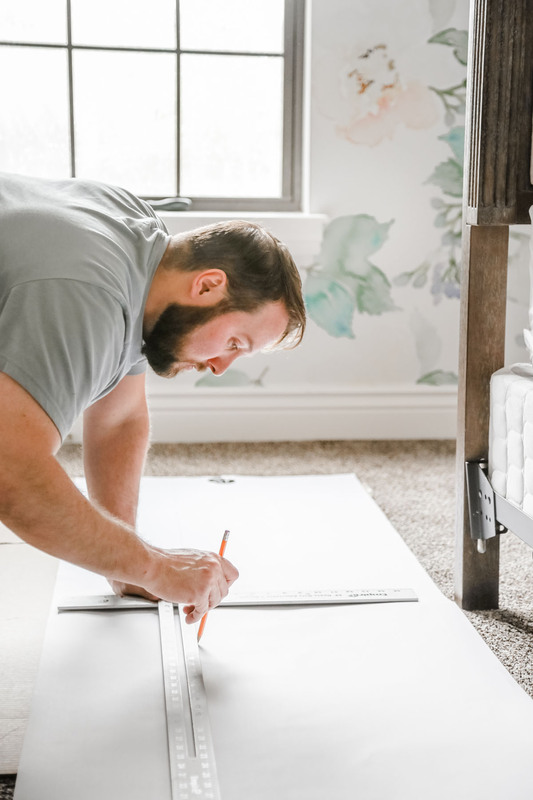 The wallpaper from B Darling Decor wasn’t hard to put up at all. I told my husband about it and he kind of looked at me like, don’t you remember when we had to steam off the wallpaper when we moved in? Haha. It was in one room and it was bad. Like red, navy and cream lighthouse wallpaper from years and years ago. I promised him that this was like a sticker and is removable. It completely is removable and very forgiving. We put it up together. 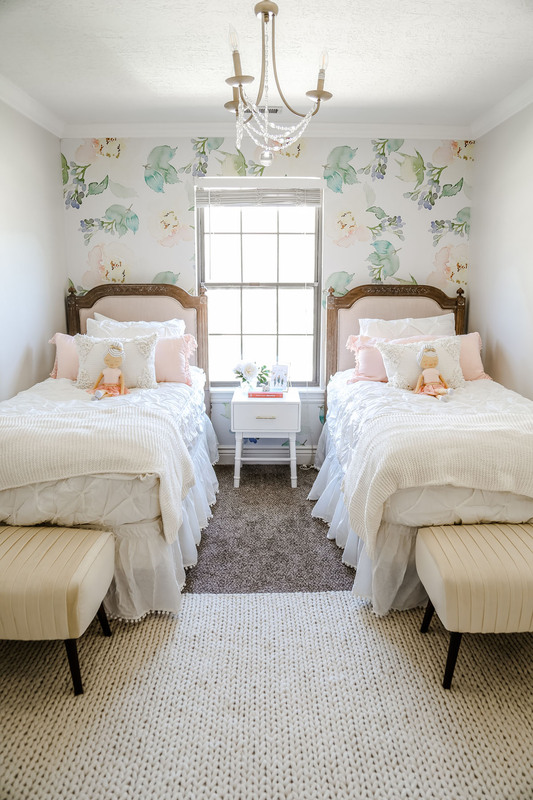 We are slight perfectionists and wanted the leaves/flower petals to match up perfectly plus we were installing on a wall with a window so that took a little extra time cutting, add in that we have 4 kids so between nap time and everyone wanting to help, we were glad we had a Saturday at home. That being said, it didn’t take us all day and every time I needed to redo a little spot, it would come right up and lay perfectly down when I reapplied it. The perfect finishing touch to the room. 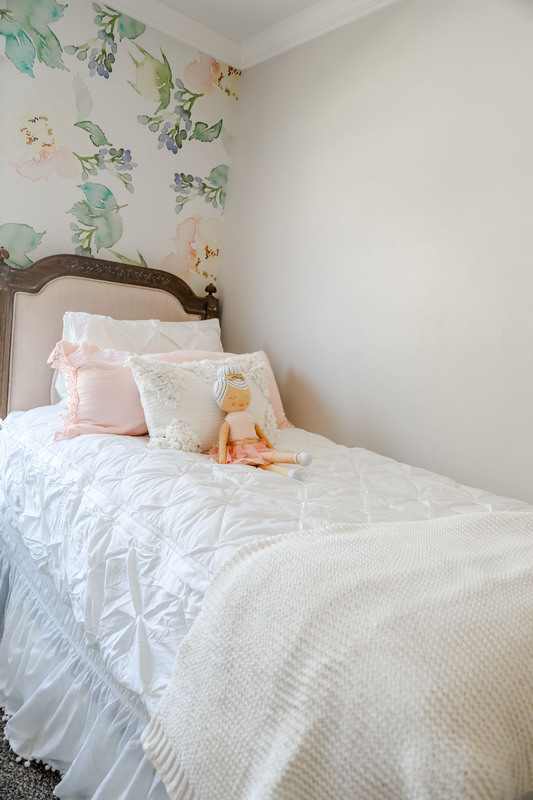 All of our family has come over and our girls have been so proud of their girls room makeover & I think we have sold everyone on bedding that zips & wallpaper that is removable. These companies are pretty much the perfect marriage. 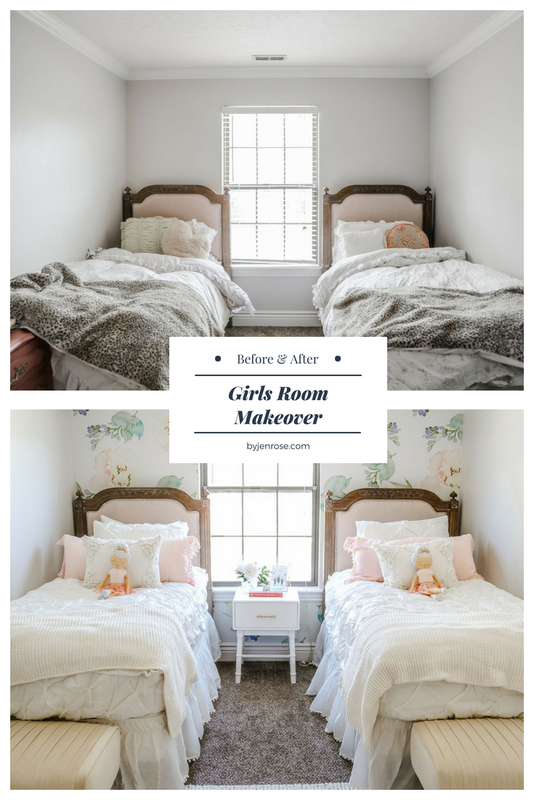 Here’s a bit behind the scenes of our girls room makeover before we head into the before. I wanted to show these pictures without any staging so you could understand why we needed to make more space and organize. One had a white dresser. The other had a pink one, which I love using for parties. Girls are the best. I love having girls that love to create and do all things girly. What I struggle with is the trinkets that end up taking over their room and the tops of their dressers became a collection spot for that. Rocks that had been collected, prizes from parties, books they’d made, beads that we don’t want near the baby, play purses, necklaces, earrings, you name it, I found it. We grabbed underbed storage from IKEA, and put all clothes from their dressers in there. Those things are huge! And the clothes dividers, thank you to my sweet friend for introducing me! They each got a box to hold their jewelry & a Caboodle to hold all of their makeup. That’s it! 2 boxes under their beds, clothes under their bed, and hang up clothes in their closet. Loving the difference in our before & after! 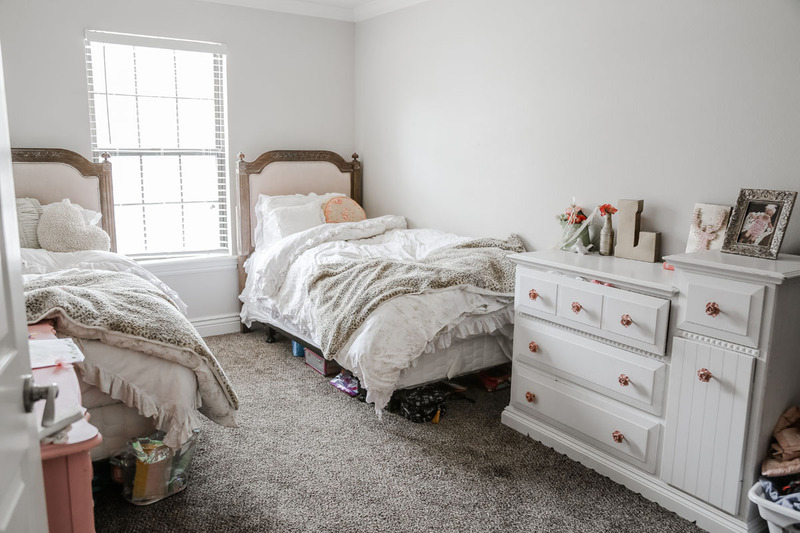 This girls room makeover post may contain affiliate links. 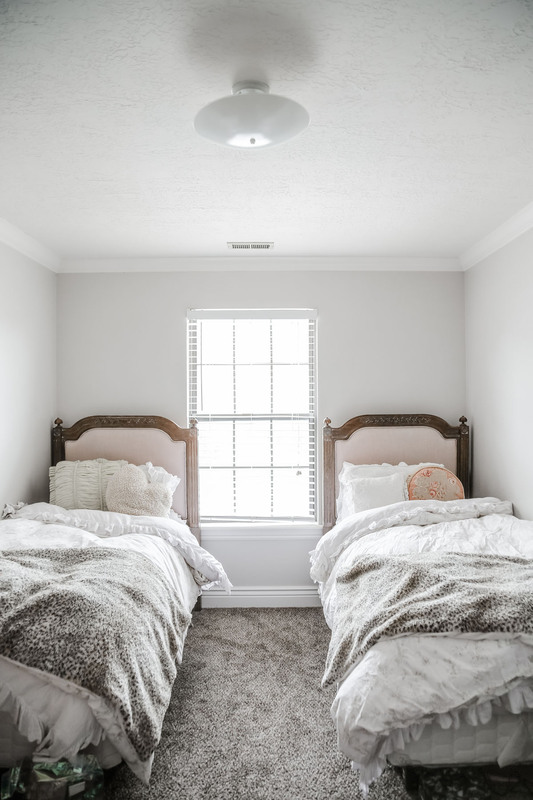 Where are your girls lovely beds from? They’re beautiful!